Aside from Moody’s bill, my trip to Commonwealth Lake Park last weekend was fantastic. 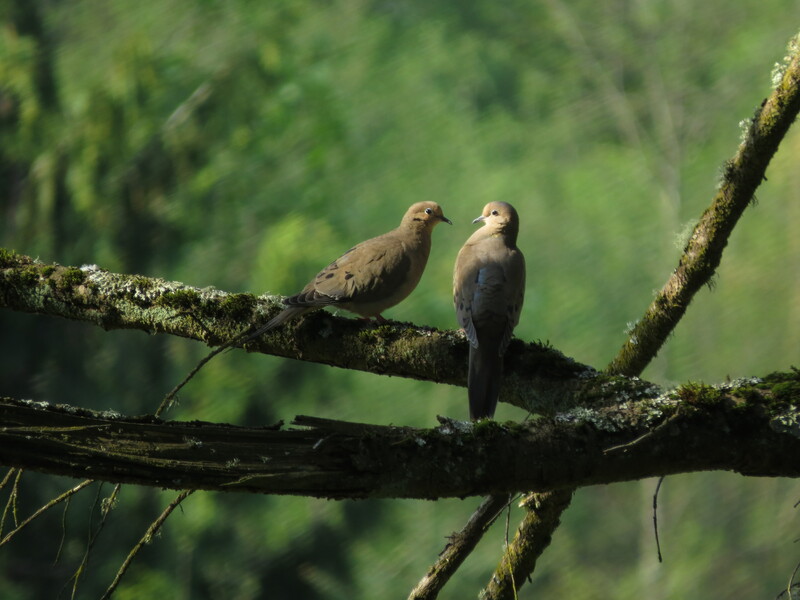 Bird-word on the street is that Green Herons nest here, plus, this spot is close to Cedar Mill Wetlands where the BirdsEye app shows a Rufous Hummingbird visited two days prior (!!). 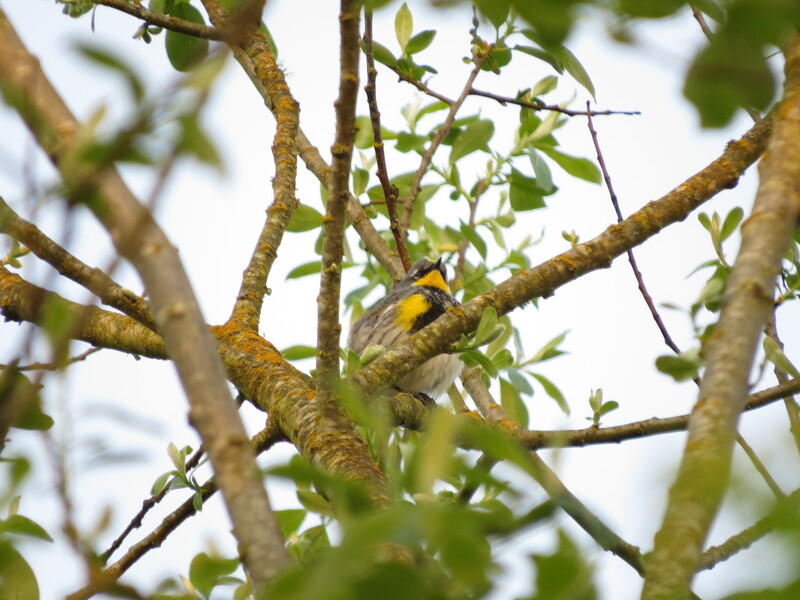 The first bird I saw though, was a warbler! 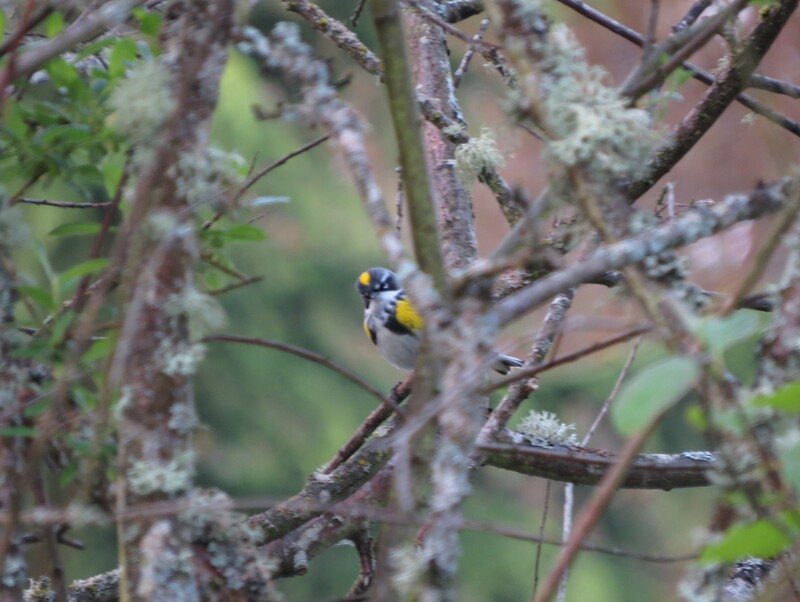 The uniform yellow-green color, sharp pointy bill, and invisible orange crown leads to Orange-crowned Warbler! Super cute in a non-descript sort of way. 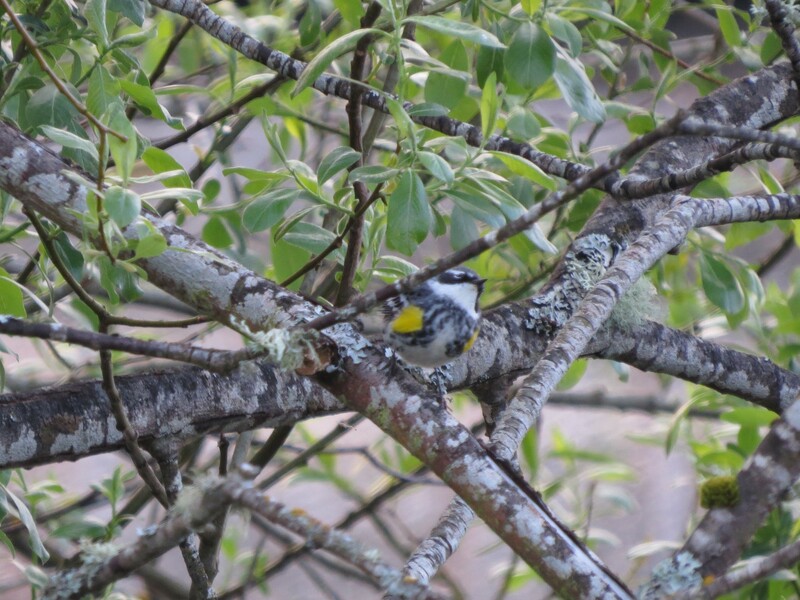 The park was thriving with Yellow-rumped Warblers as well, and now I realize, as my birder-mentor and friend, Laura Whittemore, pointed out, some are a little different than others I’ve seen before this trip. 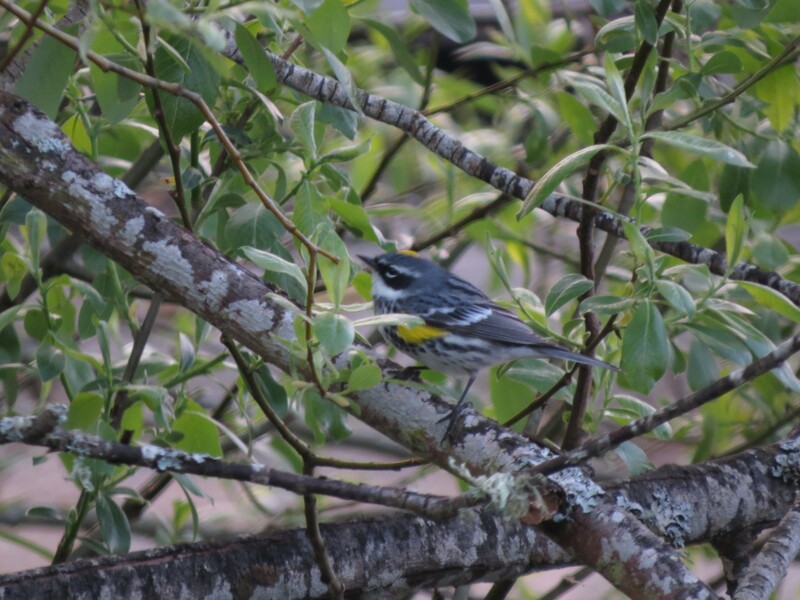 All are Yellow-rumped Warblers, however there are two varieties: Audubon’s Warbler that has the yellow throat, and the Myrtle Warbler that has a white throat, white eye-stripe, and contrasting cheek. According to Wikipedia, the two populations likely diverged during the last ice age. 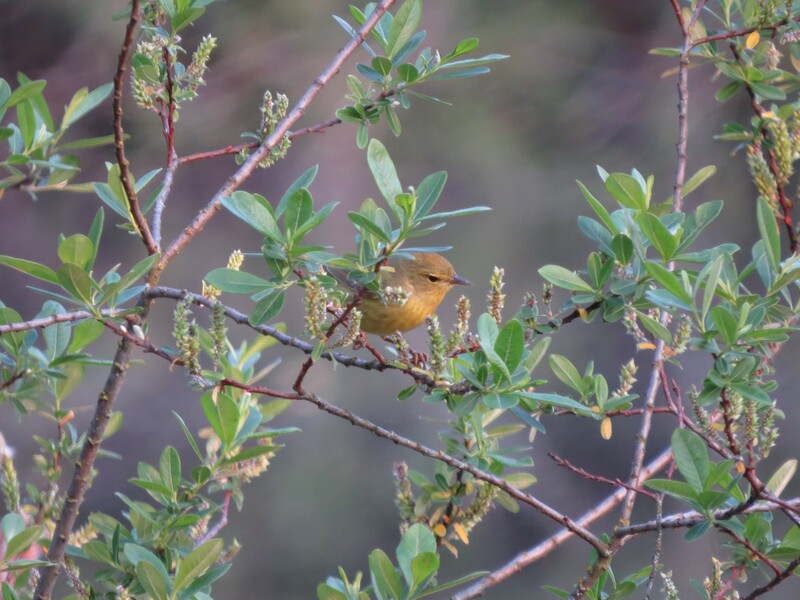 Nowadays, these abundant warblers are considered “conspecific” or belonging to the same species. Who doesn’t love challenging warbler identification? An easy ID was this Green Heron. So dang thrilling. A few other birds I saw at Commonwealth Lake Park included Barn Swallows (that nested under the small lake dock! ), Great Egret, and Mallard (with a chick!). Mutt Duck, you don’t fool me anymore! 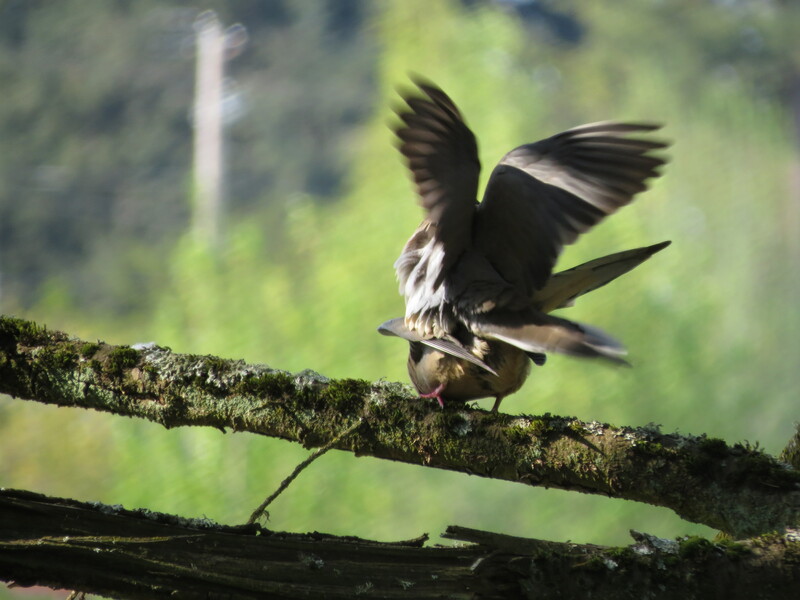 I then traveled to Cedar Mill Wetlands with the hopes of a Rufous encounter – spoiler alert, while I was flashed briefly by what I think was an orange-red gorget of the Rufous Hummingbird, I didn’t get another look or photo to confirm. 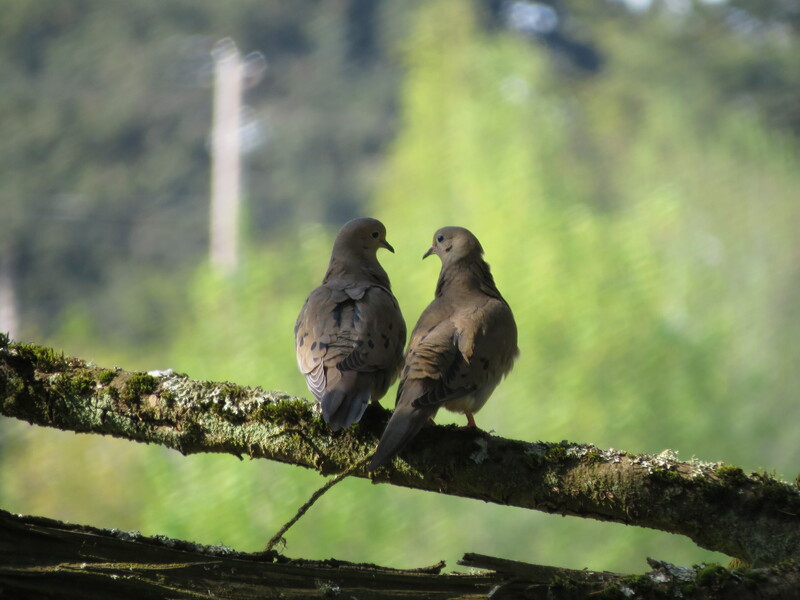 I did, however, get pictures of Green-winged Teal, Gadwall, Northern Shoveler, Spotted Towhee, Red-breasted Sapsucker, Song Sparrow, lovey-dovey Mourning Doves, and a few other birds. 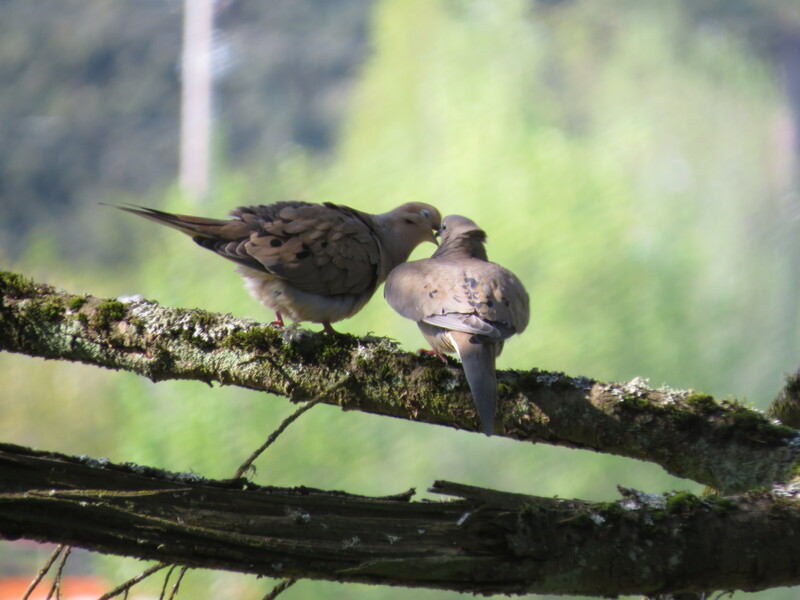 Acutally I think the lovey-doves deserve more attention. Maybe put on some soft music, light some candles, viewer discretion advised, kids.